1. What structures does the conjunctiva cover? 2. What type of epithelium makes up the conjunctiva? 3. How does the type of epithelium vary according to topographic location? 4. Is the conjunctiva normally lined by keratin in the outer layers? 5. 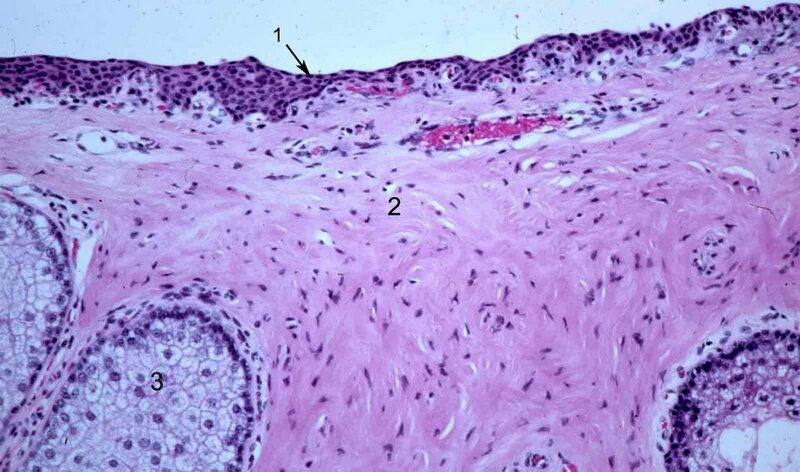 What specialized cells are contained in the conjunctiva? 5. 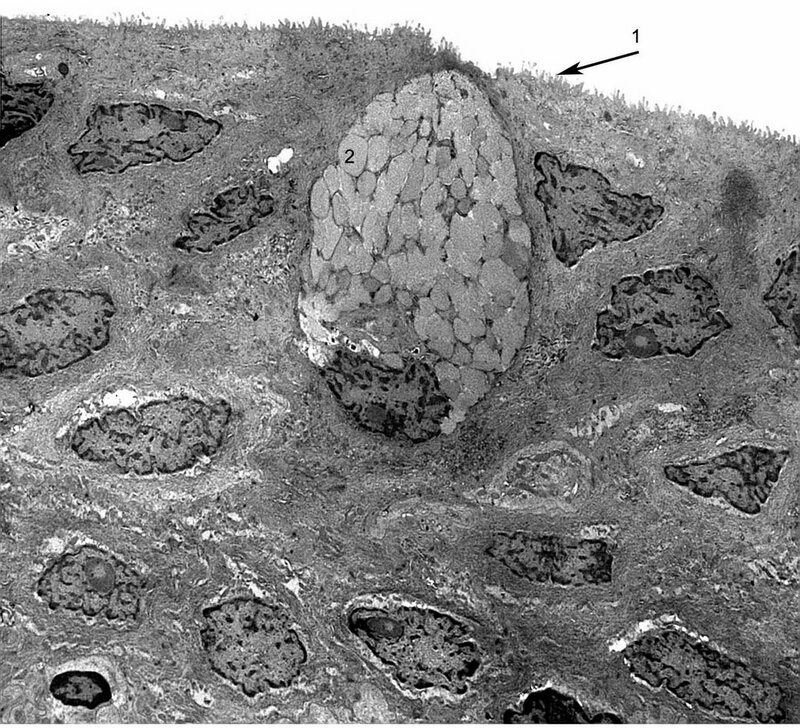 What do Goblet cells secrete? 6. Based on the anatomy what types of cancers would you expect to be found in the conjunctiva? 7. 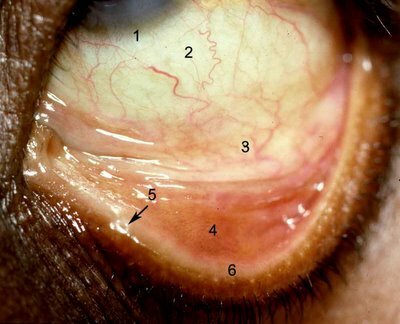 In the photo below identify the various topographical areas of conjunctiva. 1. How does the upper lid tarsus differ from the lower lid tarsus? 2. Which eyelid has more meibomian glands in the figure? 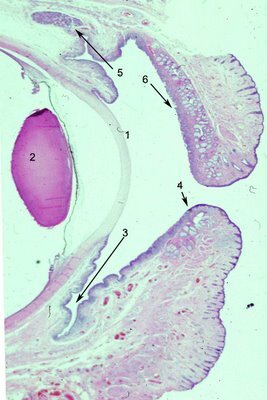 How does the epithelium in this view of tarsal conjunctiva differ from that of closer to the fornix? Specifically what cells are less numerous here? 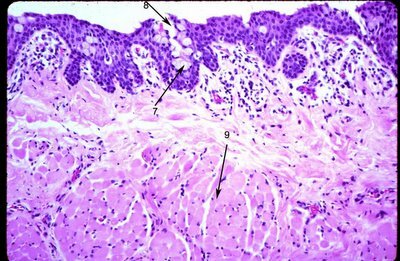 How is the epithelium different? 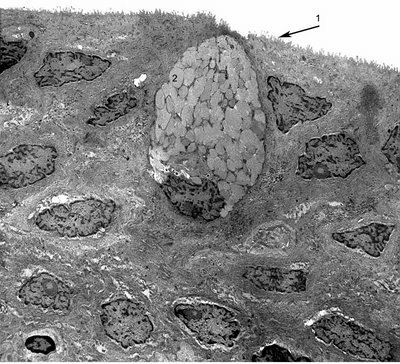 The cell (#2) in the electron micrograph corresponds to which cell in the photo above? Click here to link to the answers for all photos.